Your pond’s health is reflected in its look; maintaining or restoring its biological balance is a critical step in enhancing its natural beauty. The AquaActiv System offers a biologically sensible approach to a cleaner pond—aiding in the development of a healthy ecosystem that supports plant and animal life. Step A in the OASE AquaActiv System—the Chlorine Remover— conditions the pond, removing chloramines, chlorine and other heavy metals which are toxic to fish. Its natural botanical extracts improve fish slime coat, reducing infections and improving overall health. 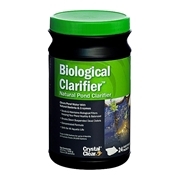 The chlorine remover also aids in preventing ammonia burns, infections and parasites. Chlorine remover should be used when adding water or when incorporating new fish into the pond. 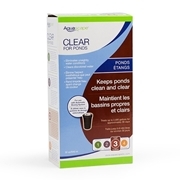 It is also ideal to add chlorine remover when opening your pond for the spring season, when closing it for winter, and during start-up phase or water changes. One 18 oz. bottle treats ponds up to 1,892 gallons. Step A, when used in combination with Steps B and C, supports ecosystem health, the most critical building block to a beautiful aesthetic.